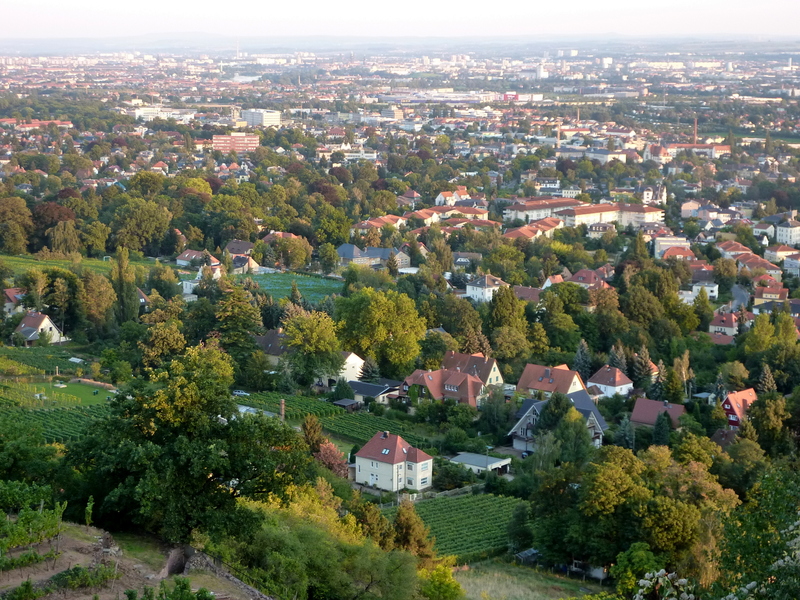 Perhaps the highlight of our year 2012 was attending the World Fleckvieh Simmental Congress in Germany. 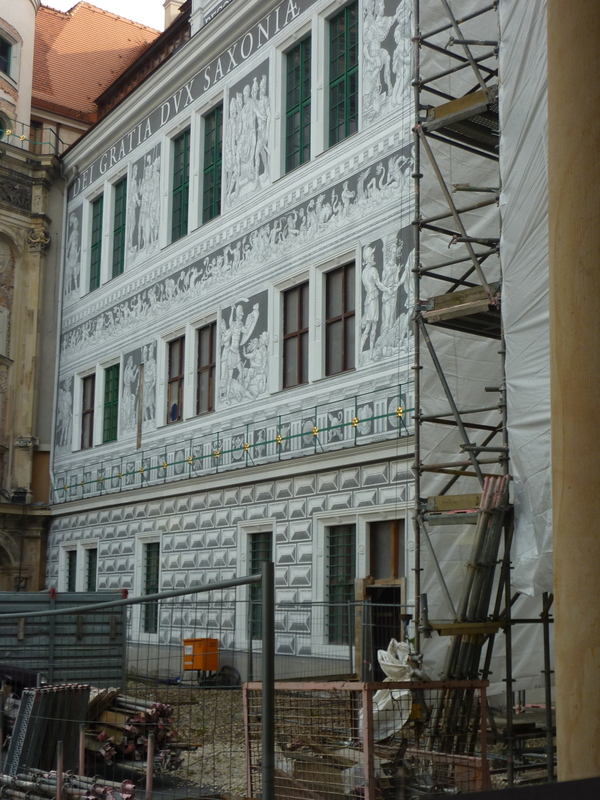 The pre tour began in Dresden which included a walking tour of the city, previous to the suckling tour of the beef strain of Fleckvieh cattle. The tremendous damage from the World War 2 although behind barriers still there some 70 years later was a real eye opener for me. 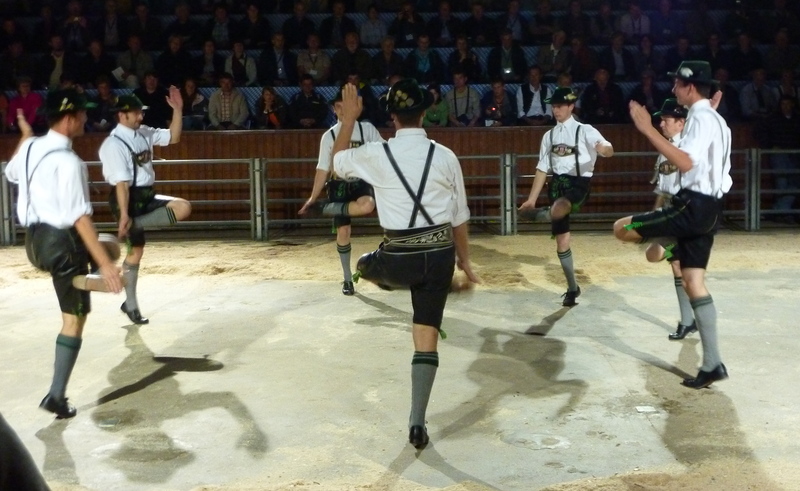 We were welcomed with open arms by the German beef Simmental Breeders – “hospitality plus”. However, the one thing I found confusing initially, the breeders with suckling herds, were referring their cattle as “Beef Simmental”! I must admit it took a while before it finally came to me. 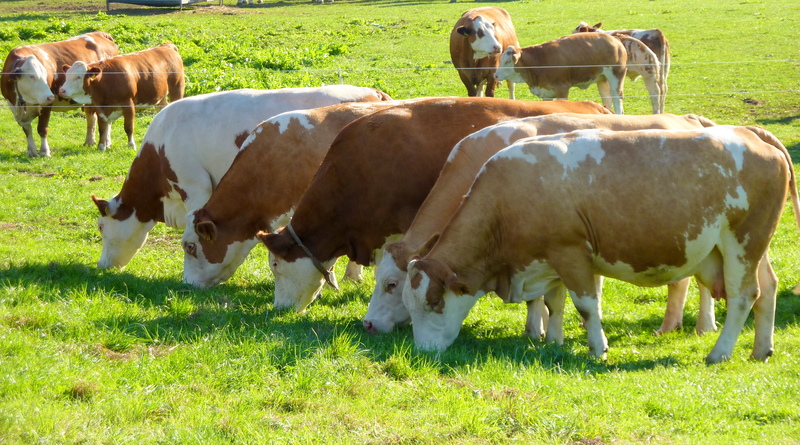 The German beef breeders are using the term” beef Simmental” to separate their cattle from the dual purpose strain of Fleckvieh in Germany. The very same reason we here in North America refer to our cattle as full blood Fleckvieh to separate our cattle from the Angus cross purebred side of our Simmental breed. Another interesting point was that they displayed their cattle in a show ring facility in groups – different cow families or progeny of different sires etc. There was no judging or placing! This has got me to thinking. Could this be a throw back to the early days of Simmental here in Canada when Simmentals would only be displayed? In general, the beef herds were smaller than on the dairy side, nursing calves at side and out on pasture similar to here in Canada. Another interesting point was they all have been using only polled genetics for the past 20 year. 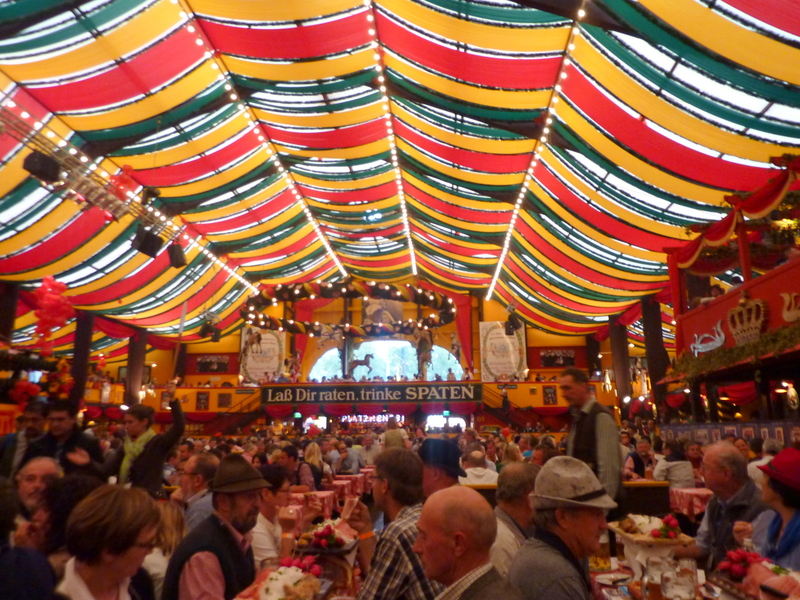 After a busy 3 days touring several beef herd, our hosts, simple put, wined and dinned us with a farewell evening, including live bands, lots of German folk music, all the complimentary food and beer a person could possible consume, and in many ways perhaps the most enjoyable time while in Germany. As we joined the main congress tour we went from 1 bus to 5 buses to handle the larger number of delegates. The dual purpose cattle were larger herds in total confinement with free stall barns and the modern milking parlors, and in many cases from 100 to 200 milking cows. Many of the dairy strain cows would be 2000 lb or more. 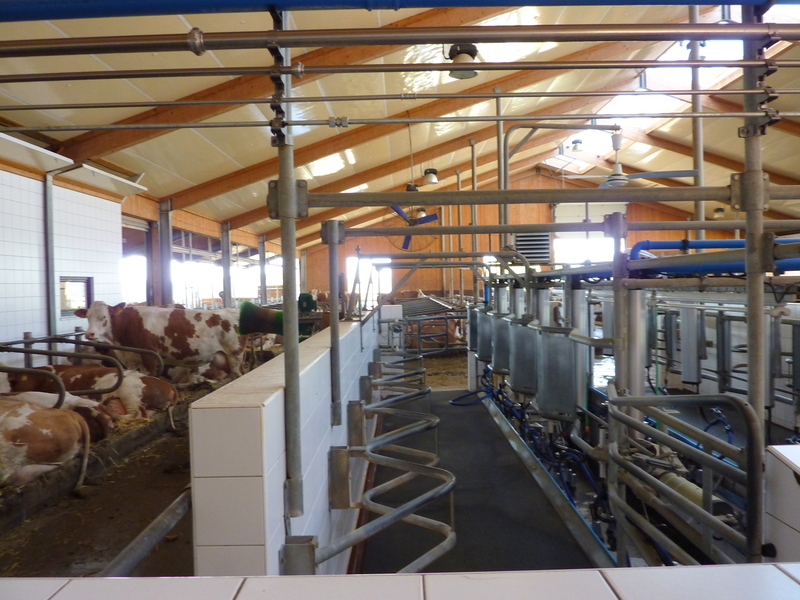 One would have to see these cows in their high tech, well managed milking facilities to believe it. There were several reasons given for using Fleckvieh Simmentals instead of Holstein as dairy cows. On average the Fleckvieh cow stayed in the milking herd nearly twice as long as the Holstein, the Fleckvieh cows were approaching the Holstein in the amount of milk produced and the bull calves brought a much higher price as calves and when they were finished in the feed lots. The salvage value of the Fleckvieh cow was also much greater than for the Holstein cow. 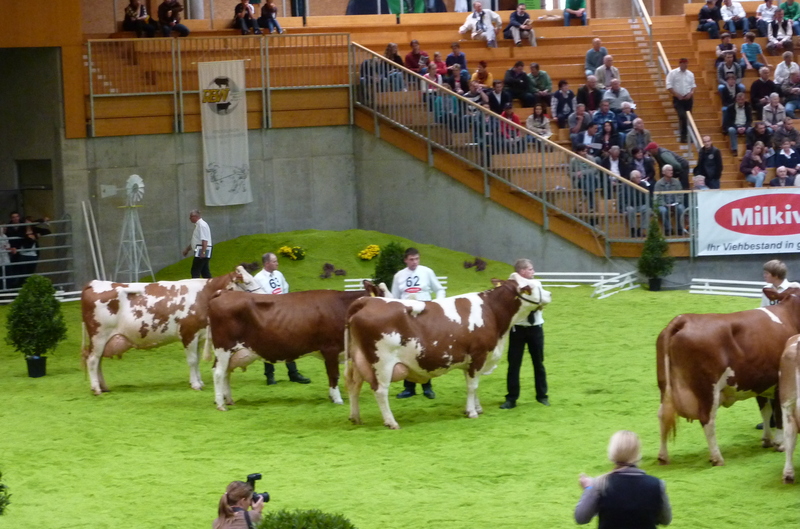 Our final day was attending a major agriculture show in Munich with all breeds of cattle being shown, large machinery display and a mid way, I believe by far the largest outdoor show we have ever attended. 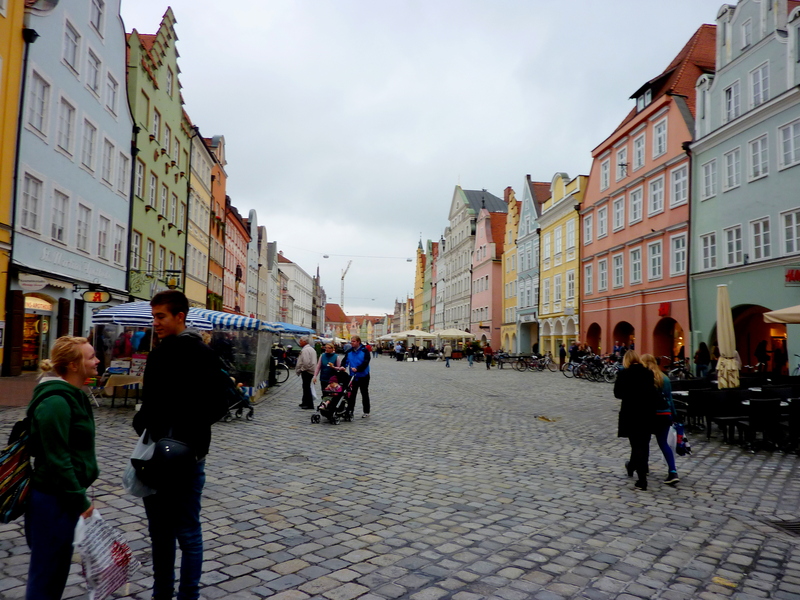 Our tour wound up with a visit to Oktoberfest “Germany style” – 10,000 people, music everywhere great food and lots of beer. As I look back at those busy 10 days while traveling around Germany,we were present at 15 different Fleckvieh- Simmental operations, in many ways being treated like royalty. “WOW” German hospitality at its finest. Betty and I are truly blessed to be able to travel, and associate with so many folks that breed and develop Fleckvieh seed stock. It was a humbling experience and memories that will no doubt last a life time.